If you want to compliment your home with a nice patio door, you’ll notice that there are a variety of different styles of doors that you can install that will match your inner-architecture. You’ll want to find a door that truly defines your outdoor living space and one that will compliment the rest of the household as well. Many openings that lead to a patio are small in size. Consider the amount of space that you have for your new patio door so you can narrow down what style of doors you can choose from. Are you going with a single swinging door, or a double door? Also, keep in mind that your doors need room to swing open. Avoid placing furniture close to where the door fully swings open to avoid damage. 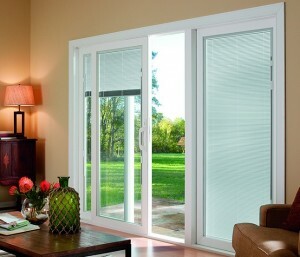 Glass is a major component of patio doors so one thing to consider is energy efficiency. Certain manufacturers provide glass that will protect your windows against UV fading and are also energy-efficient. If privacy is an issue, tempered glass adds an extra layer of protection from the outside-in. Natural light is a commodity and should be used liberally. Internal blinds and grills can help dim and control the outer light coming in. You’re going to want to choose a material that is easy to maintain but is also durable. Vinyl, glass, and aluminum are good options because they can withstand the weather well and will never need a new painting. If you’re using your patio door as a front door, then be sure that the lock fixtures are strong enough to withstand brute force as break-ins can always happen when you least expect it. Bio: Since ETO Doors inception, they have consistently added thousands of additional doors in new models and sizes to their inventory every month to meet customer demands. Today ETO Doors has the ability to fulfill virtually any door needs for any residential or commercial project, and customers can read ETO Doors reviews online to get the inside information on their favorite brands.